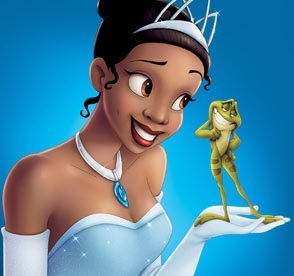 We all believe in fairy tales. American's believe that if we work hard then we will get the things we want: home, car, love, etc. We believe that our President has the authority and ability to solve our most pressing problems, we believe that going to college will afford us a better lifestyle, we believe this things because to some end they are true. Or correction, they have a positive correlation; but the relationship is not causal. That's a significant distinction. Last night in class we discussed paradigms. In particular we discussed how introducing new paradigms to a system can lead to the idea being rejected, especially if it is introduced from within the system (that is used to the status quo). After class I got a working example of this. A classmate of mine argued that for our book report on Black and White women in corporate america, it should be noted as a critique that the Black women authors suggested armoring as constructive and be continued as a practice. Armoring in the sense that Black women do not see their positions as apart of them and take no ownership, it is a job and they are there for a specific purpose (to do that job), they are largely distrusting of their peers and do not feel apart of their peer culture (nor do they want to). She said that the use of armoring promotes further distrust, isolation, and division between blacks and whites. I did not disagree, but I noted that changing that is asking for a paradigm shift in how both Blacks and Whites view each other--it calls for Blacks to trust whites and for Whites to be accepting of this new turn of events. We went back and forth with her trying to convince me otherwise but I didn't budge (typical) because I didn't disagree with her I just saw a bigger problem. So, how do we solve them? I figure this, I do not need to start a revolution I am a revolution. If I am the way that I think it should be, then I introduce the shift without making any formal introduction. Its like starting the talk without saying, "I think we need to talk..." because just those words puts people at alert. When you start harassing companies about their diversity and inclusion practices they start to panic and go into "I have a black friend" mode. I am not saying that they are useless, what I'm saying is that that's not the way that I subscribe to. Doing things out of force does not change the hearts or the minds, it does not address the adaptive problem of distrust within our society it only offers a technical solution of visible diversity. Which brings me to my want of a new tattoo...I really want an enso and I somehow have to include the words "7 impassable things" Yes impassable, not impossible because nothing is impossible. I find it fascinating that all of my tattoos are symbols and that my first tattoo is Japanese, Kanji. I wonder why I am so drawn to this culture. My second tattoo is of a cross, facing me and my intention for that was to acknowledge my God as my own. 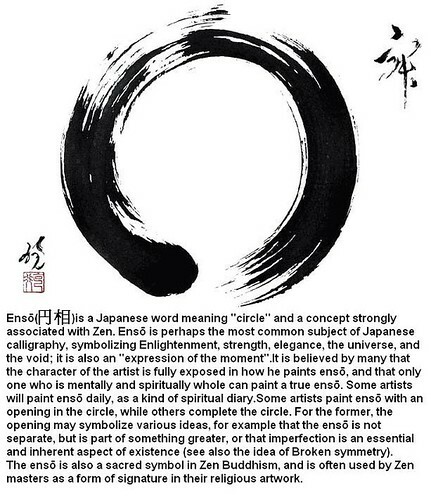 My rationale for the enso is the circle, the opened circle. I want to always have a space for new paradigms, ideas, ways.